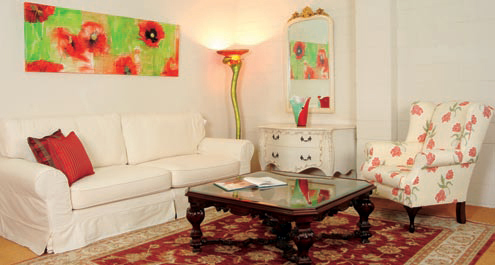 For lovers of fine furnishings, Nuska Furniture manufactures faithful reproductions of periodstyle furniture, specialising in French designs, alongside custom-made pieces designed to clients' specifications. Pieces can be polished in a wide range of timber finishes to suit client requirements. 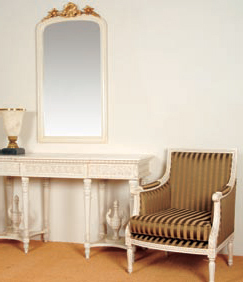 Gold and silver gilding with a wide range of painted finishes can be specified. Extremely comfortable slip cover couches are also offered in a wide variety of washable cotton covers. The system is designed so that it is easy to remove and refit the covers. These sofas come with a 15 year manufacturer's guarantee. 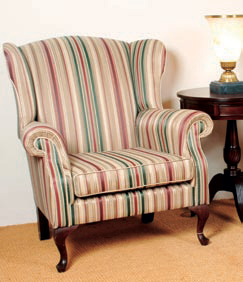 Nuska Furniture also specialise in wingback chairs in a wide range of fabrics.